This year I joined the Handweavers and Spinners Guild of Victoria summer school workshop impressively titled Sheer Delight- Transparent Weave Inlay Techniques. 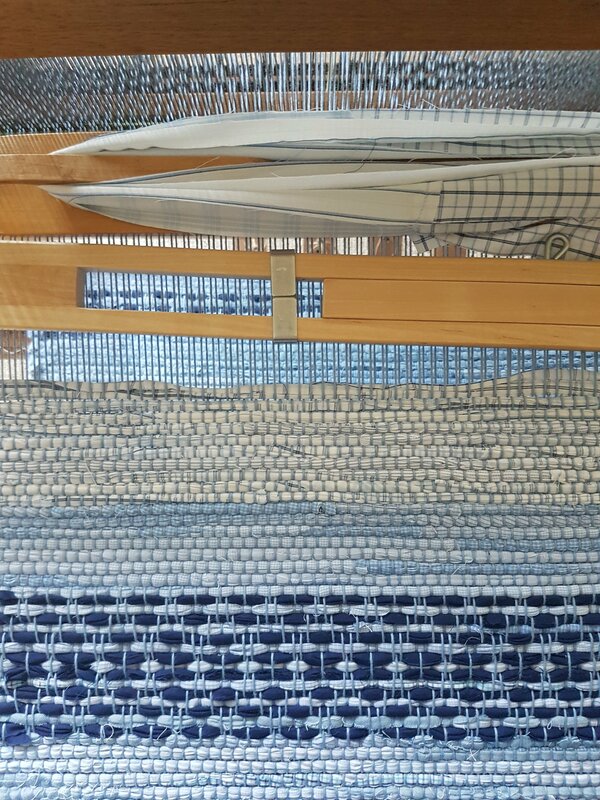 We warped our looms with a fine linen and learned how to use inlays in different colours and textures to make pictures or room dividers. 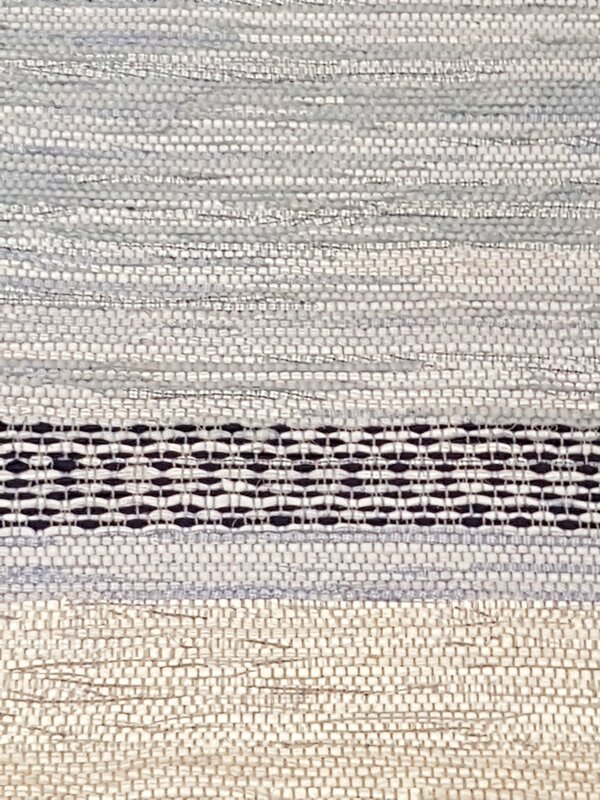 I’m generally more of a weaver of household items and I enjoyed being taken to a new place with my weaving. It’s probably not a technique I’ll use again soon but I’m happy to have a new technique in my repertoire. 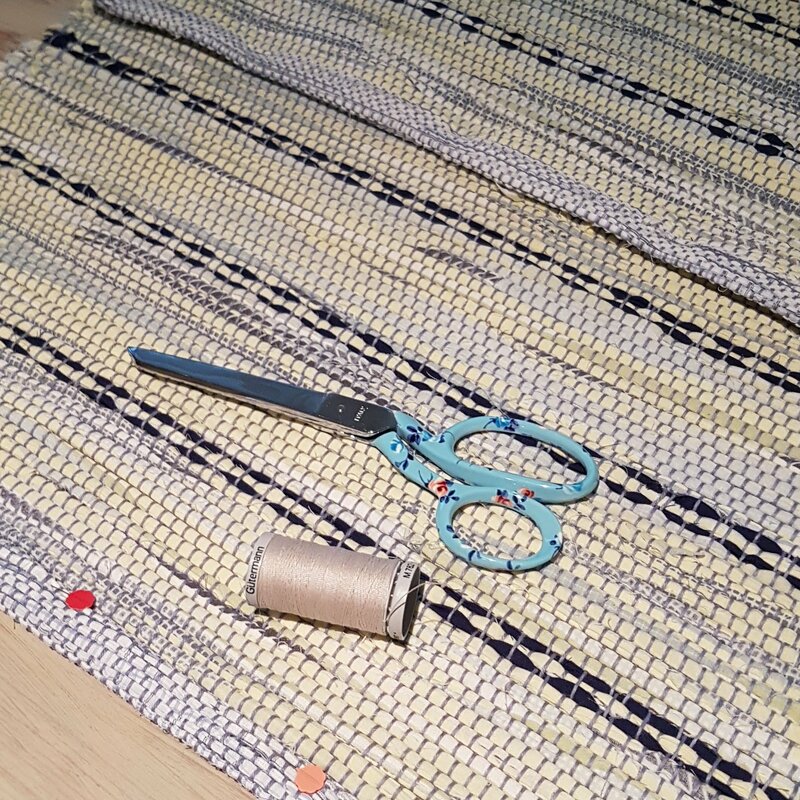 This twill exploration project is for hand towels that measure 10 1/2 inches wide in the reed. I am using 6/2 cotton and a sett of 20dpi. The plan is to make a set of six towels and use different treadlings and combinations of the two colours. I had a few warp tension issues and made a very serious threading error. The books tell you how to fix one wrong warp thread. They’re not so helpful when you have a block of 12 threads that are all wrong. 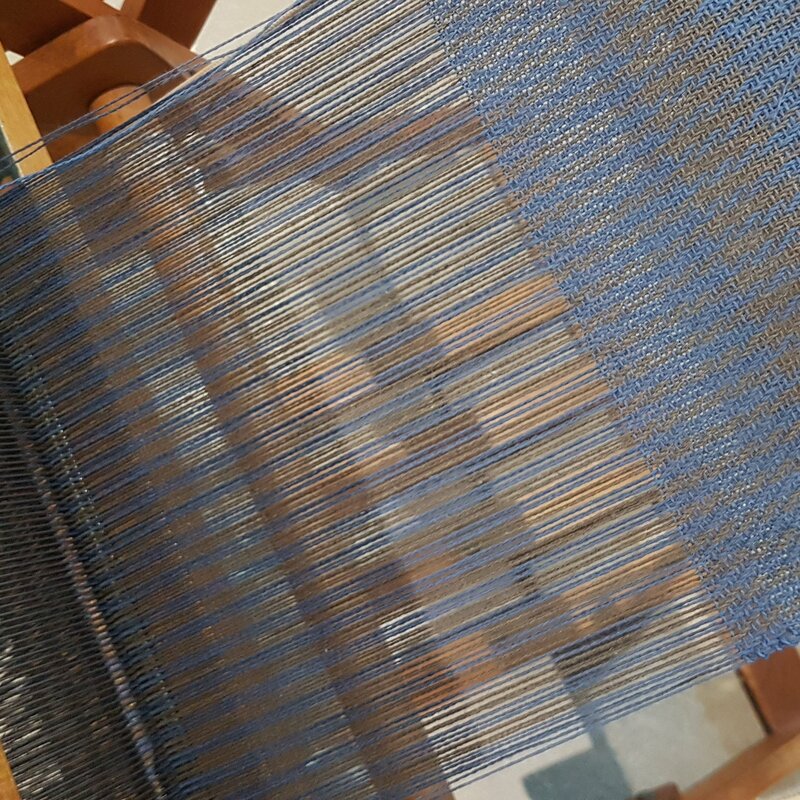 My solution (as I had already started weaving) was to chop the whole lot off, fix the error and then tie the warp on again. The first towel was 2/2 twill. The next will be broken twill. At the moment I don’t quite have an even weave so once again I find myself praying that the miracle of wet finishing will once again be transformative. This weaving business is hard.